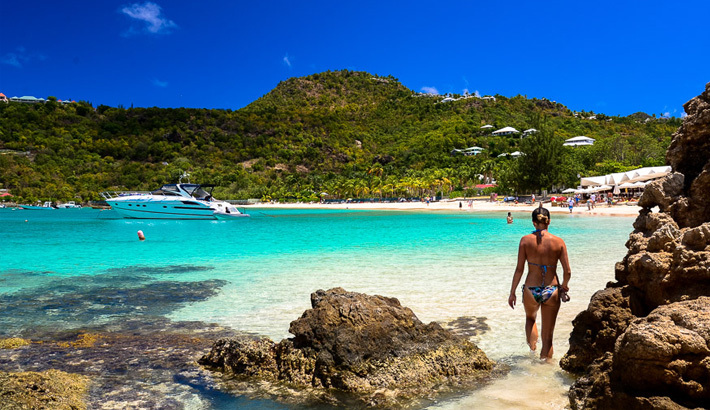 The best choices in accommodation, local tours & activities, attractions & dining, St Barts offers you a tropical island paradise filled with choices. Start planning your trip to St Barts from St Maarten by exploring the links below. 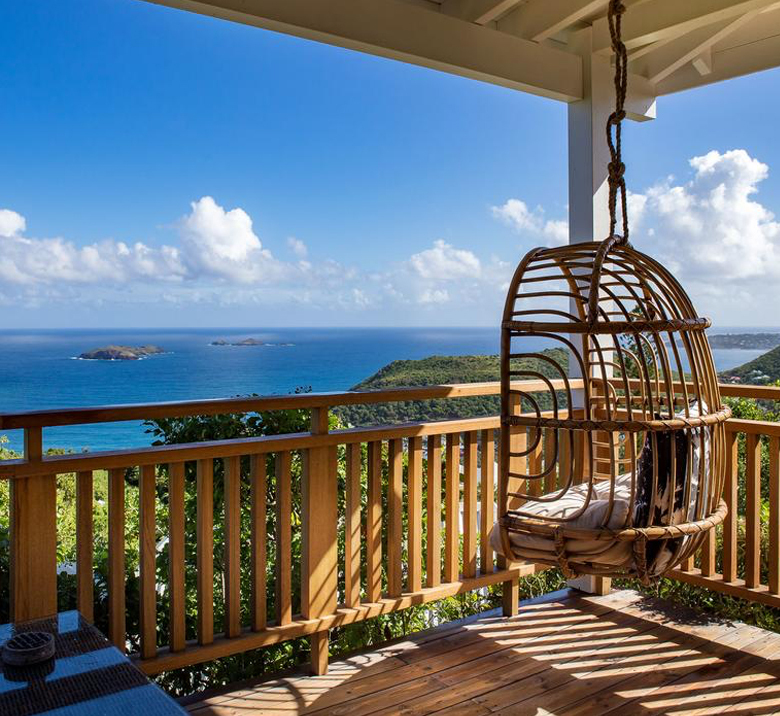 Get helpful information on the best places to stay, local transportation, activity and event listings to make your St Barts getaway even more memorable. No other island in the Caribbean comes as close to the French Riviera than St Barts – home to the rich and famous. Enjoy world class shopping here, you won’t find any other place for a chic spree in all the Caribbean. With all the luxuries the island offers, it’s the talk of top magazines in the cities of New York and Paris . 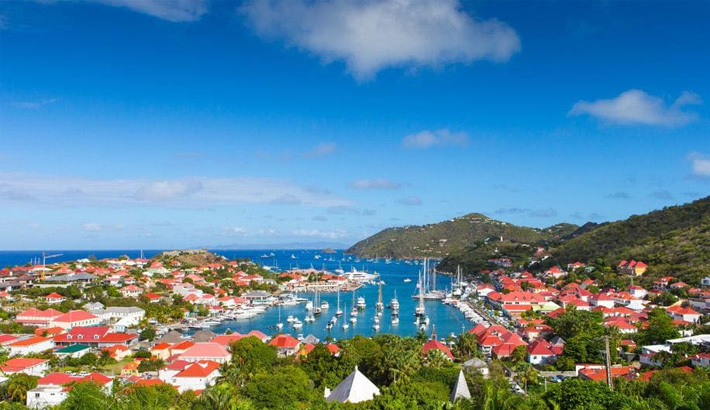 If you enjoy cultural heritage, be sure to venture into Gustavia and discover many charming places including the Anglican Church and the Governor’s Mansion. 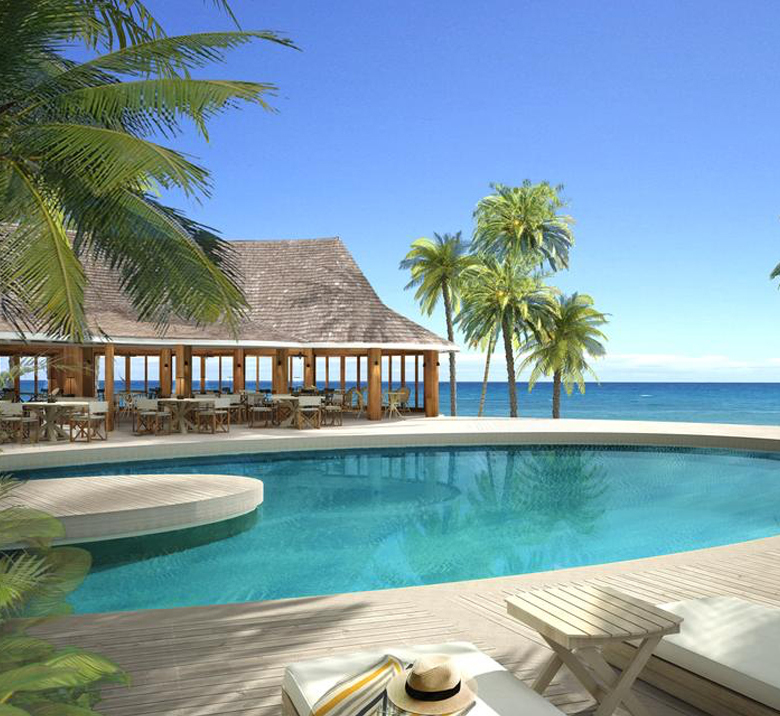 Nature lovers and sun bathers are sure to enjoy the natural pools and white sandy beaches with turquoise waters. For an unforgettable experience, duck below the surface and explore the many diving opportunities available here. End the day with a culinary journey. For a touch of St Tropez, head for the promenade in town and have a drink at the Yacht Club. Euros are preferred but the US$ is widely accepted here. 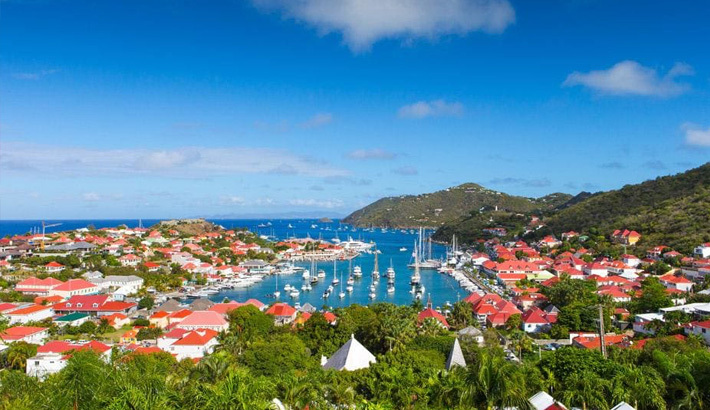 Gustavia, the capital of St Barts is a tropical landscape speckled with red roofed buildings of villas, boutique hotels, a trendy shopping atmosphere in the heart of the Caribbean. It's streets are lined with cozy cafes and world class restaurants. Be sure to trek around town and visit the historic sites like the 17th century forts that line the harbor, from Fort Karl in the north to Fort Gustaf with its lighthouse and cannons in the south. Grand Saline is perhaps the island's favorite beach offering a peaceful atmosphere and sandy ocean bottom that's great for swimming. There's no major development here and the beach can be reached in a short 10-minute walk up a rocky dune trail. There are fantastic lunch options at restaurants near the parking area, but the beach itself is just sand, sea, and sky. Grand Saline is a fantastic option for a day at the beach. St Jean is really comparable to a mini Côte d'Azur. With its beachside bistros, terrific shopping, boutique hotels, bronzed bodies, windsurfing, and day-trippers who tend to arrive on BIG yachts—the reef-protected strip is divided by Eden Rock promontory. 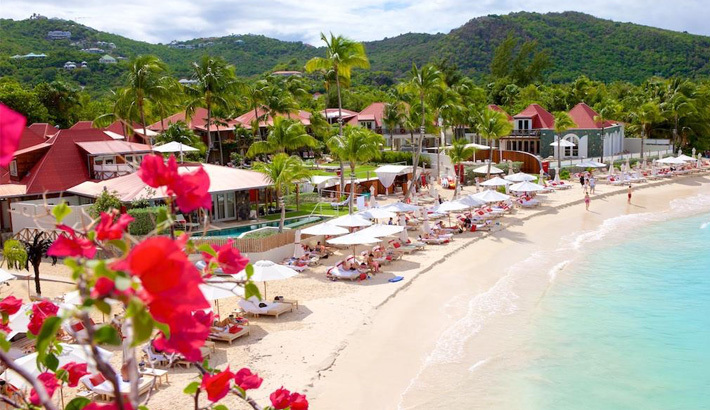 Except when the hotels are filled, you can rent chaises and umbrellas at La Plage restaurant or Eden Rock, where you can lounge for hours over lunch. 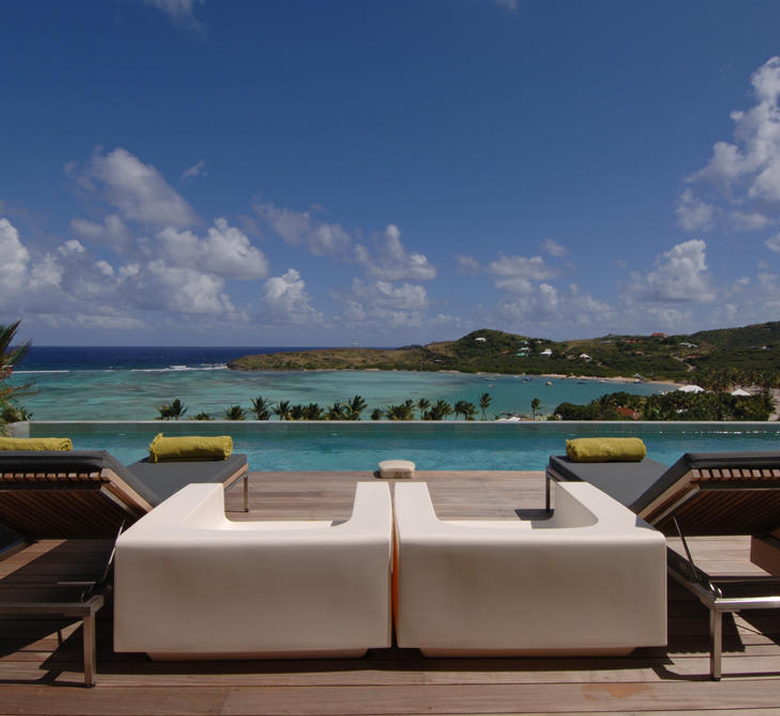 We've selected the best accommodations in St Barts, including resorts, hotels, and villas. Take the ferry over to St Barts from Simpson Bay Resort & Marina and indulge in a touch of sophistication in just 45 minutes! Get in touch with our travel professionals for custom itineraries and tours, or for help booking your visit to St Barts.